100% of the total booking will not be refunded in case of no show , cancelled or modified . The following group types are not accepted by this hostel: Junior / Primary School, High / Secondary School, Business Trip, Stag/Hen/Bachelor Party If you have misrepresented the type of group you are booking for, your booking may be cancelled by the hostel." 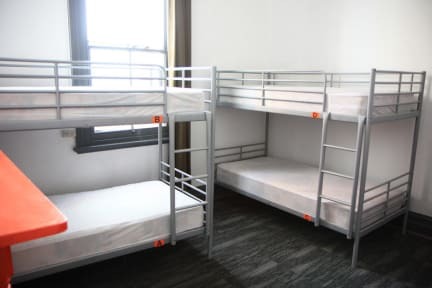 Haus Accommodation is located in the heart of Northbridge and Perth city doorstep, free transport around Perth, you will find this hostel is quiet and convenient to everywhere the city has to offer. With walking distance to restaurants that operates 24 hours, entertainment precinct just 2 streets away, cafes, breakfast bar, cultural events in is surrounding like Fringe, The Art Gallery and Perth Museum. Rooms are spacious, with fully secure key card systems. 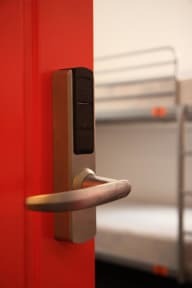 We have private rooms as well as male, female and mixed dorms available with full secure key card access, an outdoor courtyard, laundry dryer, common TV room, showers and kitchen facilities. We also provide tours and essentials basic to make your visit hassle free.